I got this recipe from my friend Michele Tesler – she served it at a dinner party (topped with dollops of fresh whipped cream and fresh berries) and I was instantly smitten with the bright flavor and light but sturdy crumb. 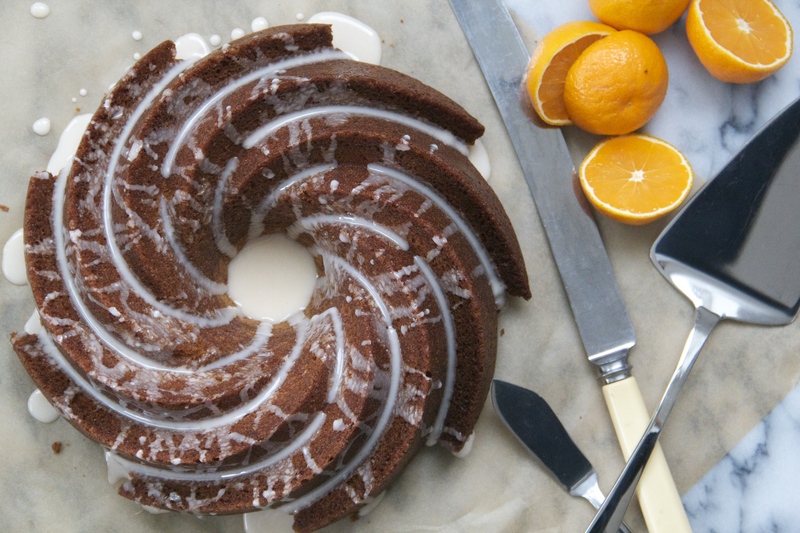 Michele bakes hers in a few loaf pans, but I did some tweaking and went with a pretty bundt instead. 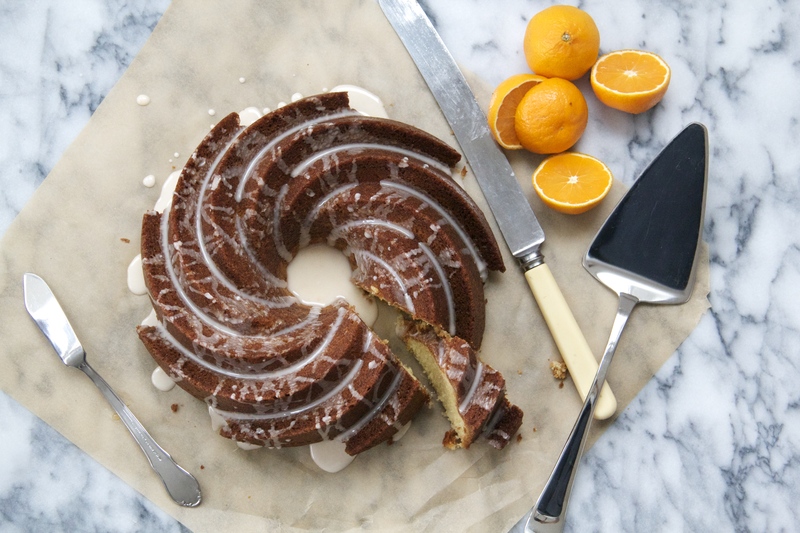 Preheat the oven to 350 degrees F. Grease and flour one large and one small bundt pan (or a 9×13 rectangular pan). In a medium bowl, combine the flours, baking powder, baking soda and salt. In a large bowl (or bowl of a stand mixer), vigorously whisk eggs (or use the whisk attachment of electric mixer) with the sugar until the mixture is thick and light in color (when you lift the whisk out of the bowl, the mixture will form a ribbon in the batter). Whisk in the zest, then slowly add the milk and olive oil (while whisking) until combined. Add the dry ingredients to the wet, and whisk gently until the batter is smooth. Pour the batter into the pan(s) and bake for 40-50 minutes, or until a skewer inserted into the middle of the cake(s) come out clean. Allow the cake to cool in the pan for 10-15 minutes before turning it out onto a piece of parchment to cool completely. 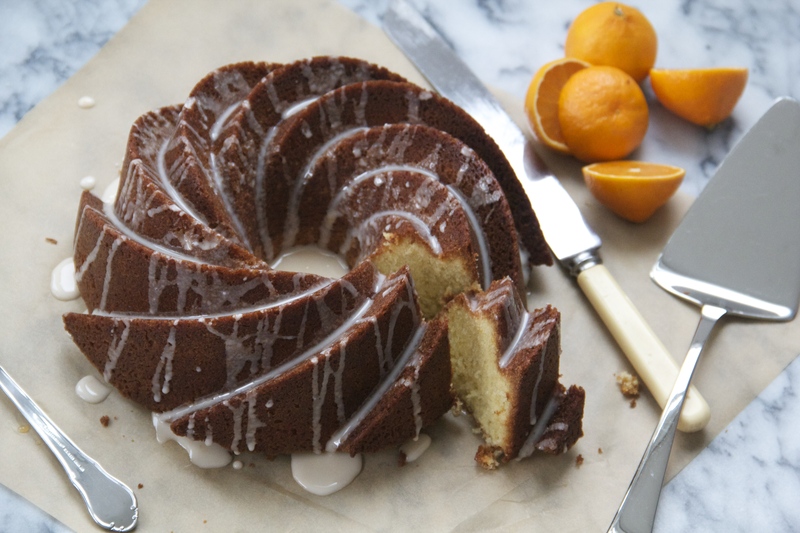 Make the glaze by whisking together the powdered sugar and juice until smooth, then drizzle over the cooled cake (it’s best to do this about 10 minutes before serving). Enjoy slices of cake with cups of hot coffee or tea. Serves a lot of people! 12-16 maybe? WHAT!? Carbivities? Cavicarbs!? This is insane. Also, I want this cake. Also, I can’t believe you bought a house! Confetti emoji a thousand times. I bet this would be heaven cold! 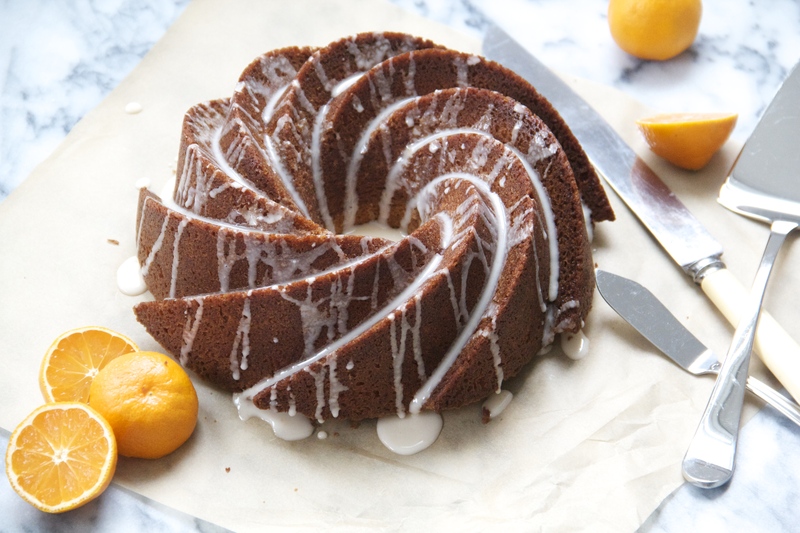 Looks quite delicious, and good call on the bundt!